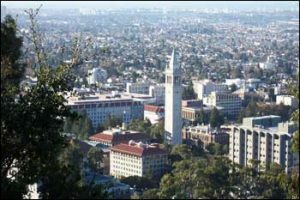 Event Description: The UC Berkeley Campus is a great place for a teambuilding activity, boasting rolling hills, rushing streams, and a variety of fascinating pieces of public art. Location History: The product of an early merger between the College of California (a private institution) and the Agricultural, Mining, and Mechanical Arts College (a land grant institution), the University of California Berkeley (known widely as “Cal”) was founded as an attempt to create a “complete university”, where students could study both the classical and the practical. The campus’ unique look owes much to an early 20th century architectural competition, won by Emile Bénard of Paris, who brought Berkeley not only a building plan but worldwide notoriety. The university’s academics are equally impressive, with twenty of its faculty having been awarded Nobel Prizes. During your teambuilding treasure hunt… you may see a giant mosaic, a statue of a bear (of course), a pyramid, some historic scientific apparatus, and much more.